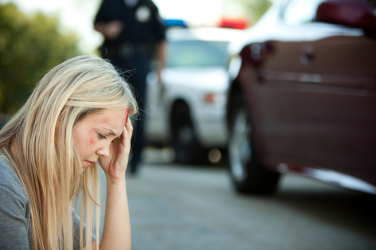 Have you been involved in a car accident in Sacramento, California recently or many years ago? ​ Are you thinking of seeking chronic pain relief from a Sacramento massage therapist? If so, the following article from Massage Magazine may help you know if massage therapy is right for your chronic pain relief and if it is possible to have pain, even though the car accident happened many, many years ago. researchers set out to determine the relationship between physically traumatic events and the onset of chronic widespread pain. fibromyalgia classification criteria, according to an abstract published on www.pubmed.gov. Data were also collected on psychological health, health behavior and sleep problems. a traumatic trigger, according to the abstract. a publication of the American College of Rheumatology (2011 May;63(5):696-701.)" I believe chronic pain stems not only from car accidents, but from emotional triggers as well. For this reason, Release the Pain addresses the whole factors of body, mind & soul when providing pain relief for Sacramento area clients.